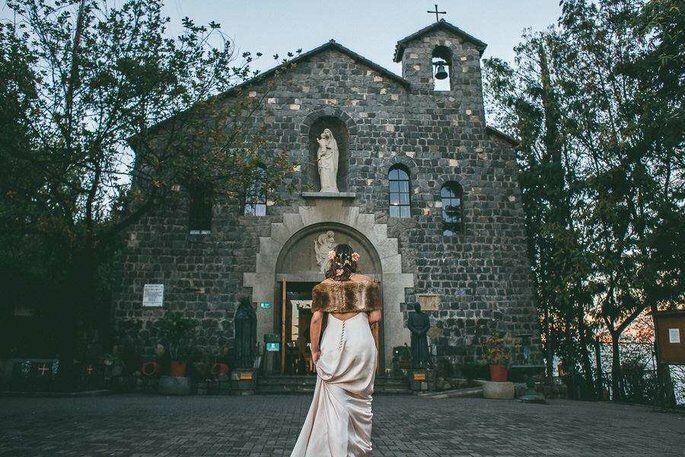 Winter isn’t the season that most brides are naturally drawn towards for their wedding. However, whilst there is a somewhat extensive list of things that could go wrong that aren’t an issue in the summer months – we’re talking road closures after half an inch of snow, and similar problems – winter is perhaps the most inspiring time of the year. Winter brides are more likely to have unique, magical wedding days, with the aforementioned snow providing a beautiful backdrop, and with the details of the season – the holly, the fairy lights, the deep, rich colour palettes – adding that extra touch of glamour. Alongside this, due to being considered a “low season” for weddings, venues and providers are more likely to be available! 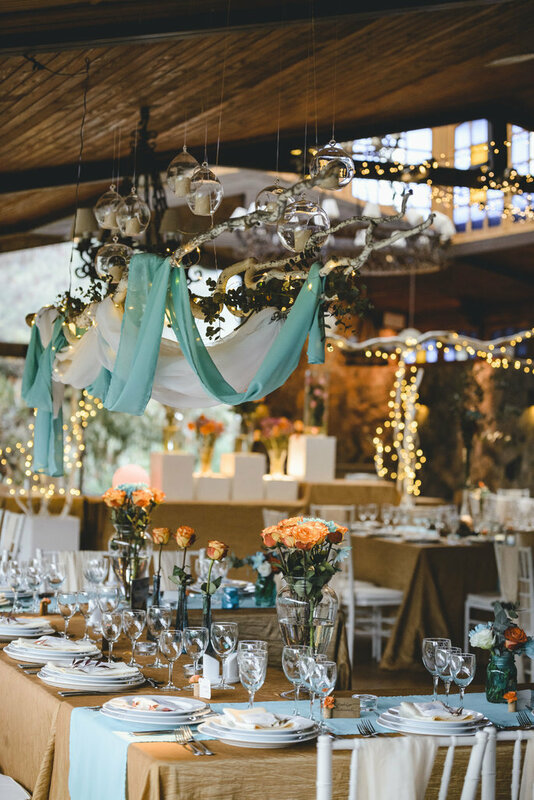 To make the most of your winter wedding, check out our top tips below on how to best organise your décor and decorations! Every season has its own magic and charm, and winter is no exception. And winter is particularly good for the bride looking for her fairy-tale ceremony. If you can, look for locations with mountainous and snowy regions which, aside from being very romantic, are often the ideal place to take the most spectacular photos – take a glimpse at Tara and Greg’s New Zealand wedding for an example of just how gorgeous this particular kind of setting can be, especially for outdoors ceremonies. With regard to decoration, one possibility is to fill an interior space with branches, leaves, tree-trunks, and other natural elements from this cold season. 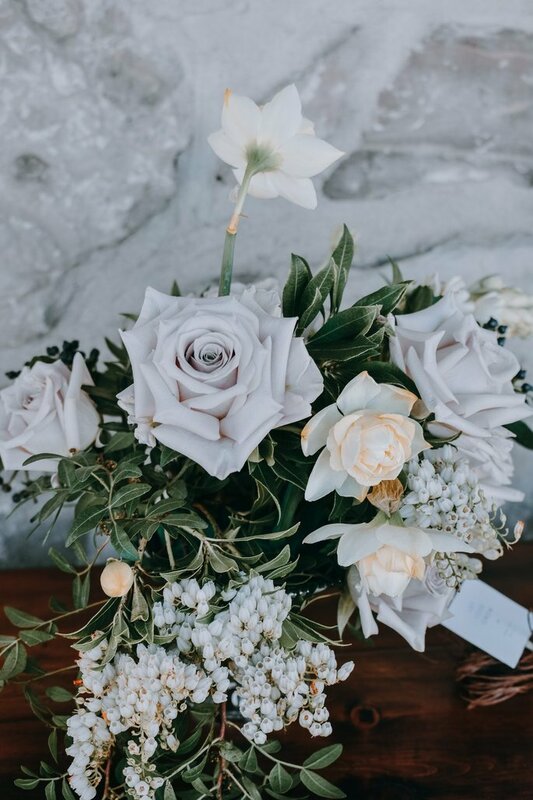 And of course, although many are out of season, don’t forget to incorporate flowers into this natural imagery – beautiful rich plum hellebores and ice-blue Algerian irises both bloom during the winter, the perfect additions to your bouquet and centrepieces! 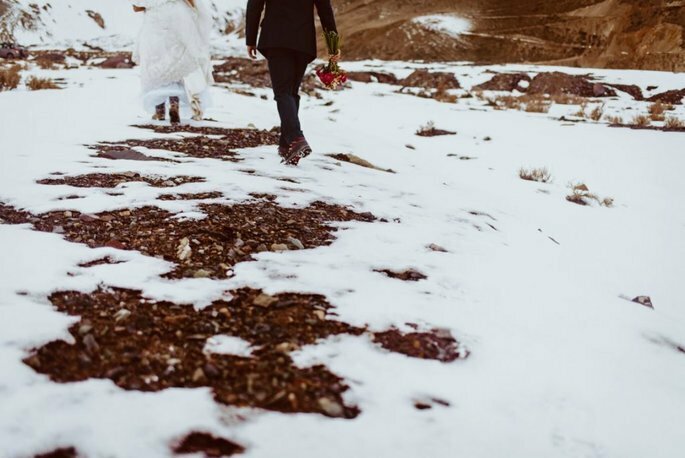 One of the best elements of winter is how much more connected to nature we become – so bring it into your wedding for added effect. When we speak of a special place, we speak of a venue that has a winter theme to it, particularly places such as castles, palaces, mansions, farms and country houses, amongst similar structures. If you can reserve one of these forms of venue, don’t hesitate to do so! They will give add an original semblance of character to the wedding that is impossible to replicate, and you shouldn’t feel daunted by the thought of decorating such a grand place – once you know how to work within the space, it is easy. Within these larger venues, you can bring in carpets, fabrics, large lamps, candles, garlands of lights and woodwork features such as woven baskets for flowers and the like. What you’re aiming for is a warm and welcoming environment that acts in complete contrast to the cold outside. The frozen ground and water features that are commonplace in these kinds of venues will be perfect for photographs, and the homely interior will be perfect for the reception, with an intrinsic charm for your guests to enjoy. Lighting – with it getting darker earlier in the winter, particularly in late December and early January, when it can be pitch black by 5PM, you have a whole range of options for lighting. 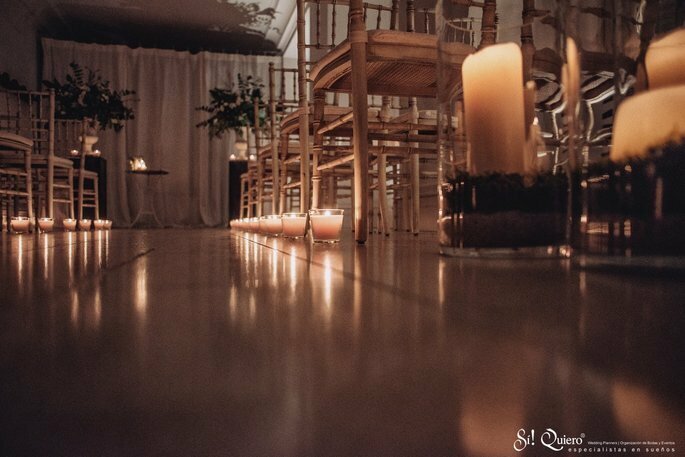 We particularly like the idea of tealights – you can scatter these about in your venue, and they will contribute to the charming ambience at a low cost. 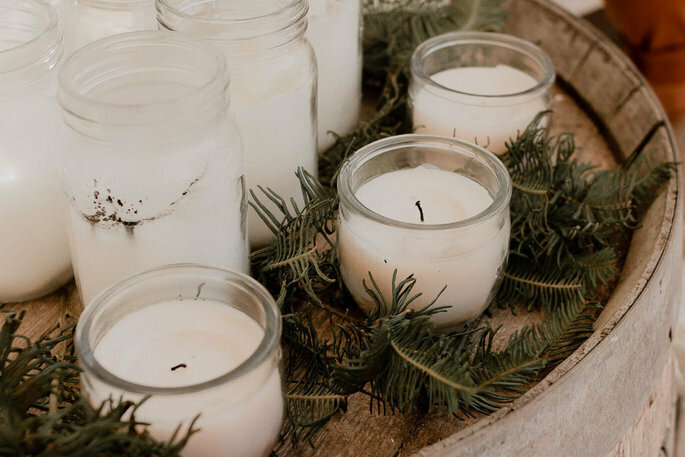 Scented candles are in every shop during the winter months, and can also create a similar ambience, adding to your guests’ enjoyment. 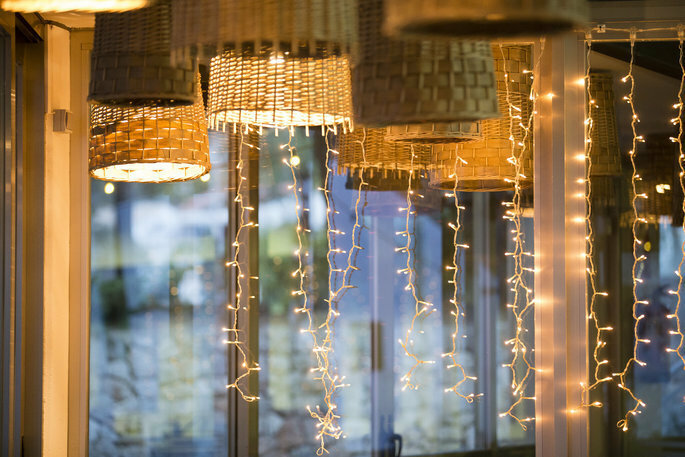 However, you should also try to include larger lighting features, such as lamps, garlands and lanterns – these can be used in a purely decorative sense, but also as a more atmospheric way of illuminating your wedding. Colours – most of your decorations should be in different shades of whites and silvers, interspersed with splashes of deep colours (we would here recommend wine, berry, garnet and plum). At the same time, experiment with different materials – you can include features with crystals to create a more sophisticated backdrop, and use faux-furs for carpets, chair coverings and even bridal accessories to the same effect. As we have already mentioned in this article, winter comes with a whole host of styles and themes that other seasons do not really feature. However, though the snow and deep colours are oh-so romantic, be careful to avoid hosting a Christmas-themed wedding! Your special day should not be forever equated in your guests’ minds with another celebration – it should belong to you and your partner, so step away from the tinsel and mistletoe. Go for rustic decorations, such as those featured in our gallery here, and follow our advice on colours and catering. With regard to clothing – which we can almost consider to be a decoration – make sure you’re prepared for the cold. Brides can look incredibly chic in capes, textured gloves and faux-furs, and grooms can look similarly stylish by choosing the right kind of coat to go over their suits. Take a look at some of our recommendations for wedding gowns here, and get inspired for your own winter bridal look! 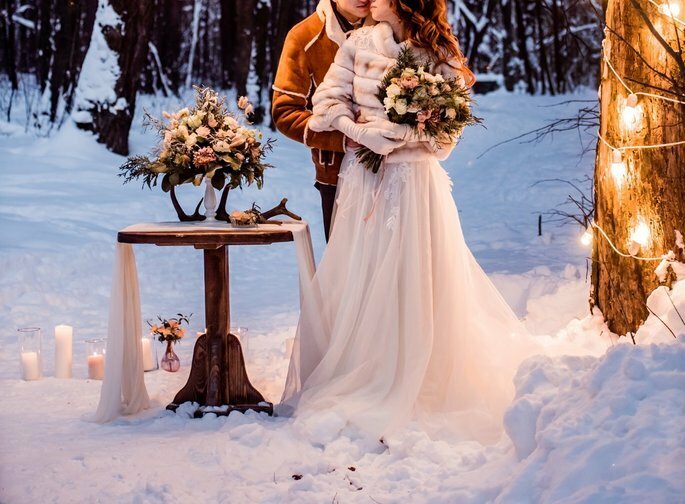 As we have already mentioned, there can sometimes be problems with winter weddings – though these are less common that you would think, and should have no bearing on your decision of when to have your big day! – and so you need to be prepared. For example, if you’re planning your ceremony for outdoors, make sure you have a reception venue that can perform weddings if need be, in case of any errant rain or snowfall. As for the reception, we at Zankyou would highly recommend to have this indoors in all cases – not only will underprepared guests be miserable, it is very difficult to decorate a marquee in the rain! As for decorations, make sure for indoor weddings that they are all in place at least the day before your big day (if you have this option with your venue) – this means less things to worry about on the morning of your wedding, and it’s also less likely that your table-toppers will be stuck fifteen miles down the road. For outdoor weddings, you do not have the same possibility to prepare in advance, so consider renting a storage unit close to the venue to store everything you need for the big day. So good luck planning and decorating your winter wedding, and we hope it’s a magical day for you and your partner!